Smoky Ridge - This home is a total steal! MLS#9422633. REALTY PROFESSIONALS LLC. ****This listing, for the CEDAR plan, INCLUDES many options, lot premium, finished basement, covered rear deck, walkout basement, 5 car garage, several framing options, plumbing upgrades, electrical upgrades, Flooring upgrades, cabinet upgrades, appliance upgrades, lighting upgrades, paint upgrades, landscape upgrades, shower glass upgrades and much more. **** MLS#2456901. Asio LLC. Homestead Farm - Remodeled Extended Hamilton on an interior cul-de-sac, large private level & fenced backyard, gorgeous designer kitchen with top of the line 42" maple Decora cabinets, crown, pantry, slab granite, stainless appliances, Wolf gas cooktop, paneled refrigerator & dishwasher, built in microwave, tons of pullouts, strip oak hardwood floors, crown molding throughout main level, laundry/ mud room that opens to the garage, updated family room with upgraded cabinets & gas fireplace, new baseboards, all new vinyl windows, upstairs master suite and good sized additional bedrooms with spacious closets, huge basement with den, 5th bedroom (non-conforming) & 3/4 bath, great storage or room for future expansion, brand new hot water heater, new 3D CertainTeed 30 year roof, new fence, great East/West exposure, 1 block in greenbelt to pool, tennis, and rec area with tot lot! ! MLS#5696015. RE/MAX Masters Millennium. This amazing property won’t last, schedule a private tour today! MLS#1783025. Windermere Metro Denver Real Estate. New High End Divinci Roof To Be Installed. MLS#7672957. 8z Real Estate. Chapparal - Attic Fan. Central Air. Newer Carpet. MLS#8337888. CENTRON REALTY. Copy and paste the link to walk the property on any device now! https://my.matterport.com/show/?m=W2QnbTjNAJ4 MLS#4689510. RE/MAX Professionals. It features a leathered waterfall granite slab center island, a new stainless steel Viking appliance package including double ovens, MLS#9112082. LIV Sotheby's International Realty. Buyer and Buyer's agent are responsible for confirming /verifying all (schools, square feet) information. Super easy to show. MLS#3954551. Realty One Group Premier. Cherry Creek East - NOW BOM with ALL NEW ANDERSEN WINDOWS AND EXTERIOR STUCCO! MLS#2751691. MB PALMER PROP. Enjoy wonderful walking trails and community open spaces. MLS#9955236. View West Properties. Homestead Farm - A quick walk to Life Time Fitness, Tony's Market, Neighborhood Swimming Pool, and sand volleyball and tennis courts. This home has it all! 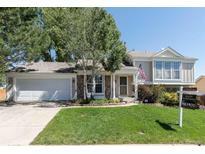 MLS#2068833. Graham & Johnson Real Estate LLC. Don't miss the opportunity to own one of the final few homes in this community. MLS#6255566. Richmond Realty Inc.
****This listing, for the Willow plan, IS THE MODEL HOME, and INCLUDES MANY options, lot premium, color sheet upgrades, cabinet upgrades, 5-piece bath upgrade, landscaping upgrades and more. **** MLS#8202654. Asio LLC.